Note: Looks like you landed on an outdated review. The new 2019 models are out and we already reviewed the brand-new Cruiser here. 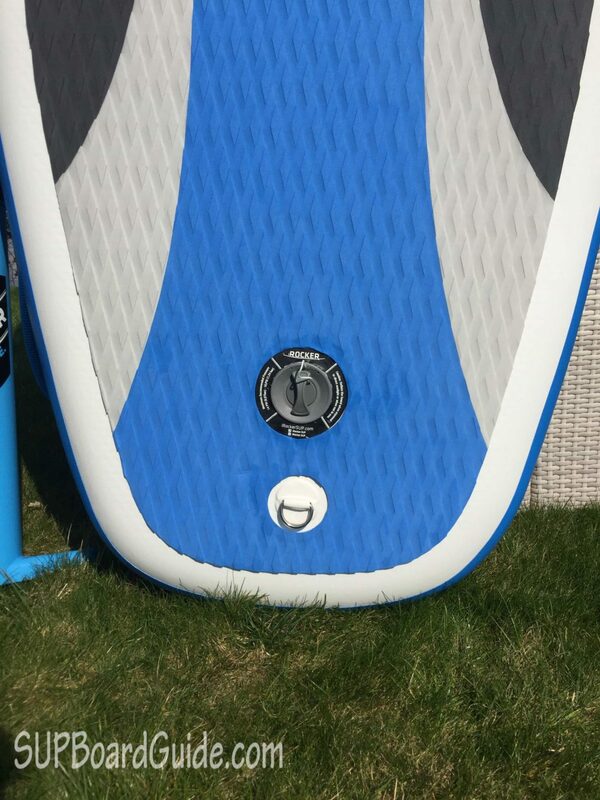 You know you’ve hit the jackpot when part of your work is getting SUP boards sent to you that have just hit the market to test out and review. 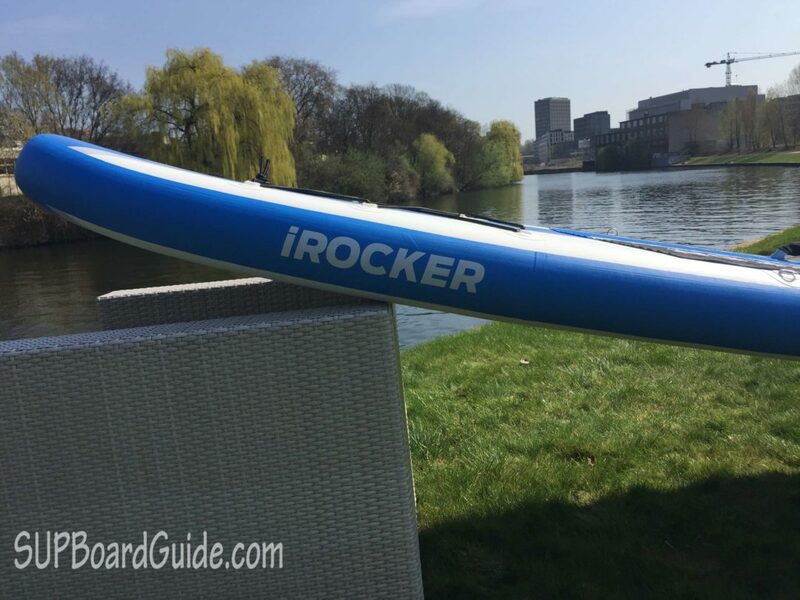 Recently, the team at iRocker generously sent me the new 10’6” iRocker Cruiser SUP. **Thank you iRocker!! ** What follows is my review after testing the board for several days. The 10’6” Cruiser is iRockers newest and improved inflatable cruiser style SUP board. The team at iRocker have improved the dimensions, paddle, and bag and it still comes with all your necessary extras! This bulletproof 10’6” Cruiser is made from a triple layer military grade drop-stitch material. Say whaaat? Basically, it’s as tough as it sounds. You can hit rocks, have it come off the roof of your car, scrape coral…I promise it won’t even leave a scratch. 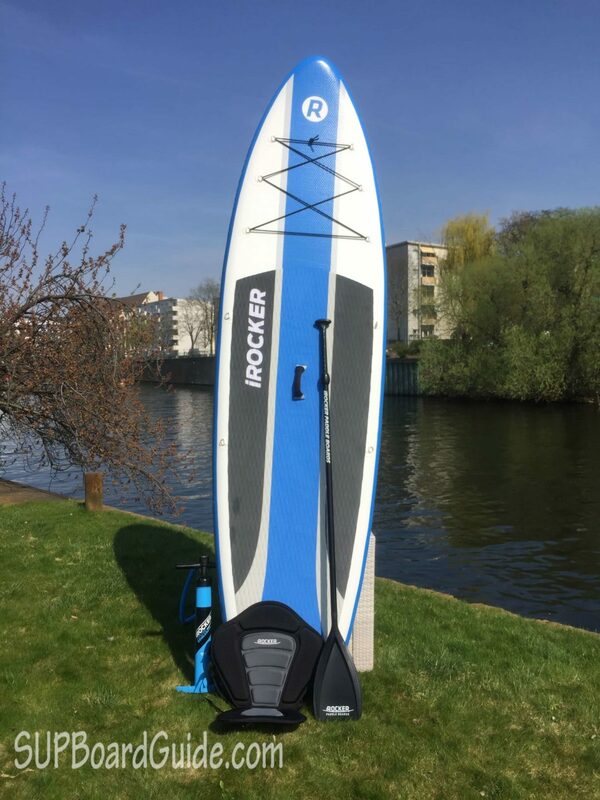 The iRocker Cruisers extra wide tail and 33” width, means it’s iRockers most stable board and one of the most stable inflatable SUPs on the market. 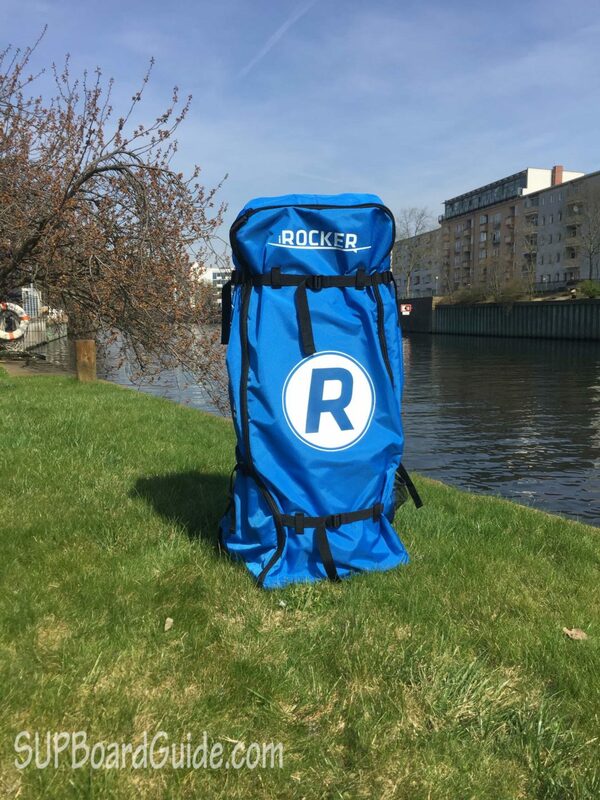 As an extra feature, you can purchase a Kayak Bundle which can be used on any of the iRocker boards. 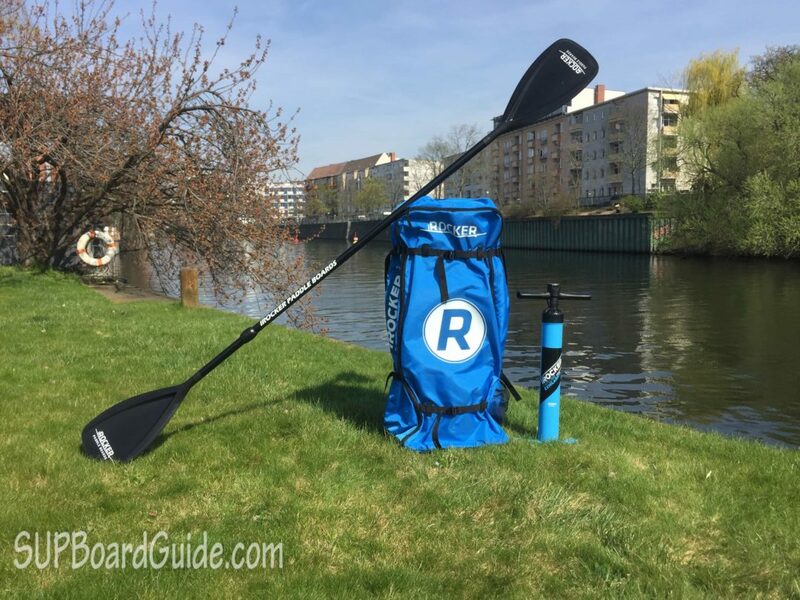 This includes an attachable kayak seat and kayak blade to transform your SUP experience into a kayaking adventure. Backpack, pump, fin, leash, the paddle with the extra kayak blade, kayak seat, and a repair kit. Update: iRocker released their brand-new double chamber pump in 2018. It’s by far the best pump included with any board in this price-range and similar to the pump you already know from the Blackfin boards. It makes pumping up your board easier and faster than ever before. Deflating the board is even easier. You just open the valve and push in a little pin in. Simply roll your board up and back into its bag, and you’re done! This is all ticked off with the iRocker 10’6” Cruiser. Strength and durability have not been sacrificed for compactness or portability. As I mentioned earlier triple layer military grade PVC with drop stitching makes this one of the toughest boards on the market. A board this price with undoubting durability and it’s flexibility in user size and experience is what I consider high quality. The Cruiser is a fantastic board for anyone starting out. Not only because it’s easily moved from A to B so you can test it out easily, which keeps you motivated! It’s also the stability and easy paddling which is ideal for a beginner, I explain this a little more in depth below. Let’s talk stability. Some compact boards don’t suit heavier riders. Most inflatable SUPs, especially those priced like the iRocker Cruiser, don’t suit heavier riders. The Cruiser has a weight capacity of more than 250lbs, just like the Adventurer 2 or the Isle 10’6”. However, the iRocker Cruiser leaves even the heavier rider feeling stable. Its stability doesn’t just make it great for beginners and riders that have trouble keeping their balance. It also means you can do Yoga, bring your dog or kids or enough gear for a day trip making it an interesting choice for intermediate paddlers as well. The fins: The Cruiser has the same tri fin setup we already know from the iRocker Sport. That means it tracks very well (Keeps you going straight). Definitely, something beginners will appreciate. One obvious drawback that comes with a wide shape is of course that it’s a fairly slow board. The extra width and tail mean it’s not quite as fast its predecessor the 11’. That’s, of course, true for all boards designed for stability but still worth mentioning. It’s the simple extra features that are improvements on later models that makes this board stand out more than anything. 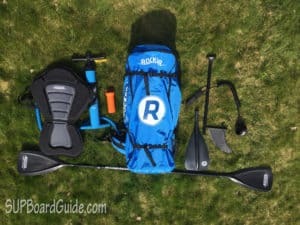 In my original iRocker review I listed both the backpack and the paddle as cons. Both were not as good as I wanted them to be but iRocker has significantly upgraded both. They literally took the paddle and backpack from being one of the lower quality ones in the market to a level that you usually know from high-end brands like Red Paddle Co. The new paddle is made from fiberglass, and it weighs half as much as the other aluminum paddles leaving your arms with more strength to paddle longer! The paddle is adjustable for your height with a two pin locking system. It also has been designed with a rubber edge to stop any damage occurring when pushing off hard objects like rocks. Where you may have been finding you were losing gear in old packs, this new one has interior and exterior cinching straps to keep it bundled together. An extra handle on top of the bag provides another option for carrying. The most important part though is the extra cushioning on shoulder and waist straps, as well as the back support. The old backpack was made from fairly thin material, meaning you could feel the fins or parts of the paddle on your back. That’s no longer an issue with the new backpack. It’s super comfy and is on the same quality level as the Red Paddle Co Ride backpack. The best part? All the gear you can see in the picture up there can fit inside. You’ll have plenty of space. This leash is thicker and more durable than before and a there’s a little stash spot for your keys, so no more end of day frantic searching when you’ve forgotten where your hidey hole was. The leash also stretches 5x its length so you won’t have to be as scared of the board coming back too quickly towards your face if you fall off. Two more D-Rings making for a total of 6 D-rings that are generously spaced have been put on the board for more room to carry your things. If you’re feeling a sit down is in order, an optional purchase for the iRocker is the Kayak bundle. 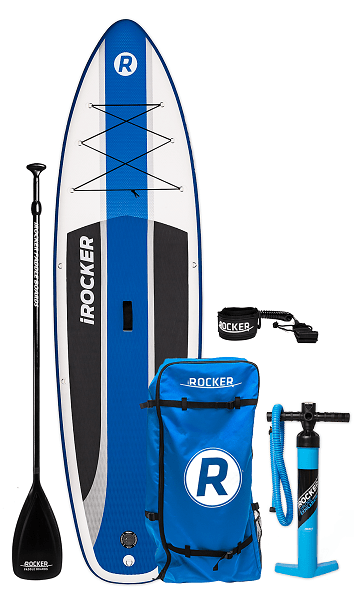 All iRocker boards are designed to compliment this bundle. This includes an attachable seat and extra paddle blade. The boards have four extra D-rings around where you would normally stand for easy attachment of the seat. With the paddle just simply attach the blade to the other end, and you are ready to go exploring, fishing, the adventure is yours!! So why should you buy the iRocker? The Cruiser is a perfect addition to the original iRocker. It’s less of a sporty touring SUP and more of a true all arounder family board. That means it’s not only more stable and easier to handle for beginners, it’s also perfect for heavier paddlers and it allows you to do Yoga or paddle with two people as well as your dog. The added features have really amplified this boards appeal. When you start to use your board, it’s the finer things like the backpack and paddle that become important for quality. Having a backpack that is comfortable to use is a huge plus, especially for those long trips. Another massive plus with the 10’6”, is a paddle that is lighter and a lot higher quality than before. The fact that the team at iRocker takes reviews and feedback so seriously and does such a great job at improving their products shows how much they value their customers. 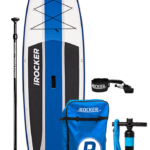 Aside from being a little slower and not as many options for colors, there isn’t too much I can say isn’t great about the 10’6” iRocker cruiser. Another great all-rounder board for all levels of experience that offers fantastic value for the money. Not the board you’re looking for? 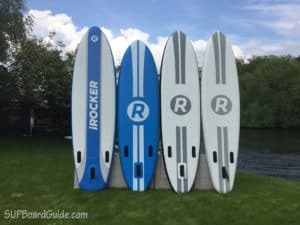 If the Cruiser isn’t quite what you’re looking for, I recommend you look at the other boards iRocker has to offer. Here is a picture of all the boards they currently offer. The All Around 10′ and 11′ are 32″ wide and have a sportier shape than the Cruiser. Great All-rounders that are still super stable but also a bit faster than the Cruiser. You can read the review here. The board on the right is the 11′ Sport (also available as a 10′). That’s currently the most performance oriented board iRocker has to offer, and it’s perfect for flat water and recreational touring. You can read my full review here. Thanks for the review, any idea when it will be available in Europe? And generally, torn between irocker 11 sport or all-round, or 10.6 cruiser versus Aqua Marina Monster. Any idea if the monster is similar to irocker? Am 100kg, with 2 Kids and a 40 kg Dog and all should come aboard, Thanks for your help! thanks. Glad you like the review. I never tested the Monster. From what I hear it’s not quite as nice as the iRocker quality wise but of course a bit cheaper as well. If you’re planning to take two kids and a dog I’d definitely go for the 11′ Allrounder. It’s 2 inches wider for extra stability, which you will need for sure. It can also hold the most weight. You should still keep an eye on the weight capacity though. 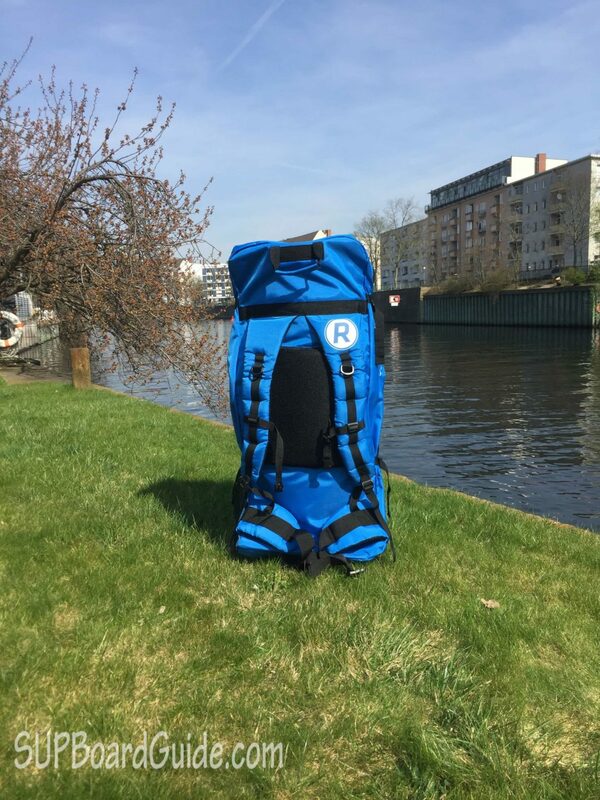 The Allrounder can hold up to 385lbs which probably won’t be enough for you, 2 kids and a 40kg dog. The only inflatable I can think of, that can carry even more weight is the Tower Xplorer so that might be an option. I’m not sure when the new iRocker boards will be available in Europe but I messaged my contacts at iRocker and will have an answer for you soon. Thanks for your Help anyways, shame that it will take so long, hoped to have an isup by June 17. I wonder what the hold up is…. Yes, it’s really unfortunate that the boards won’t be sold on time for summer. The 10′ and 11′ Sport was sold in the US first and they just moved into the European market last summer. I guess they are rolling out new boards one market at a time and the US is just their priority. I am thinking about buying this board. I would like to carry my dog on the board. Do you think the material would be durable enough for dog claws? Hi Sam. It’s definitely durable enough. No worries at all. Great durability, Clean lines, stability is superb – Nice Bag. Hi! Just purchased 2 cruisers and had a great experience, but it was very windy and we struggled to get much distance. Do you think that the 11′ all around would be a better bet? We’re beginners and will be bringing our 3 year old often, so stability is key, but we’d like to go a bit faster! glad to hear you liked the Cruiser. The Cruiser is definitely the more stable choice. Due to it’s width and shape it’s of course not the fastest option out there. Stability/speed is the trade off you always have. The All Around is still super stable and beginner friendly but definitely faster. It is not quite as wide and has a sportier shape making it easier to gain a bit of speed and cut through waves as well. So yes, if you want more speed but still need a stable board the all around is your best bet. Thanks for the quick reply! How much more stable is the Cruiser than the 11′ all around? Do you think that it would have performed better in yesterday’s conditions (very windy, mild chop), or would either board have struggled a bit? No problem. Both boards are not ideal for that kind of conditions. You’d want a 28″-30″ Touring board for that kind of paddle boarding. However, the All Around would have done a lot better. The Cruiser’s shape and width makes it incredibly stable and easy to use for beginners. However, extra width also means you need to push more water to the side meaning it’s less suitable for speed, lots of wind or chop. Given that you want to bring your three year old and need a certain level of stability it sounds like the All Around is the perfect option for you. It still offers enough stability to take your three year old but at the same time you will notice that it’s a lot faster and cuts through chop more easily. It’s the ideal combination of speed and stability. If you wanted to have an even sportier board the 11′ Sport is always an option. Looking for a recommendation. 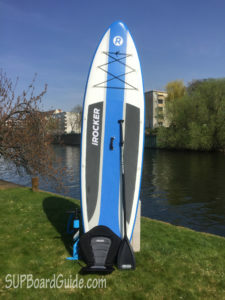 I own the 10′ iRocker sport and like it in calm water and paddle mostly on lakes but as soon as waves appear, I’m bouncing all over the place and feel unstable. My husband can’t handle this sup at all-he feels very unstable. I am 5’7″ 160lbs and he is 5’10” 220lbs. We are both definitely beginners. So I’m looking to get suggestions on a sup for each of us. I like the quality of iRocker but am now paralyzed by the choices they now offer. What would you recommend (and you can tell me you recommend I paddle more and will get used to the one I own)! the more you paddle the more stable you will beginn to feel. However, I think a longer board would be a lot better for your husband. The new All Around boards are definitely a lot more stable. The extra two inches in width make a big difference. If the main issue is waves and the feeling of bouncing around I would look into hardboards though. By design inflatables are always a little bouncier which is especially noticeable in choppy conditions. Looking for a beginner’s board for the ocean for a Christmas present for my grandchildren. 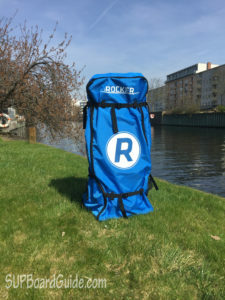 If the inflatable IRocker Cruiser is not stable, too bouncy, on rivers/lakes, is it way too unstable on the ocean? Should I look for a hardboard instead? 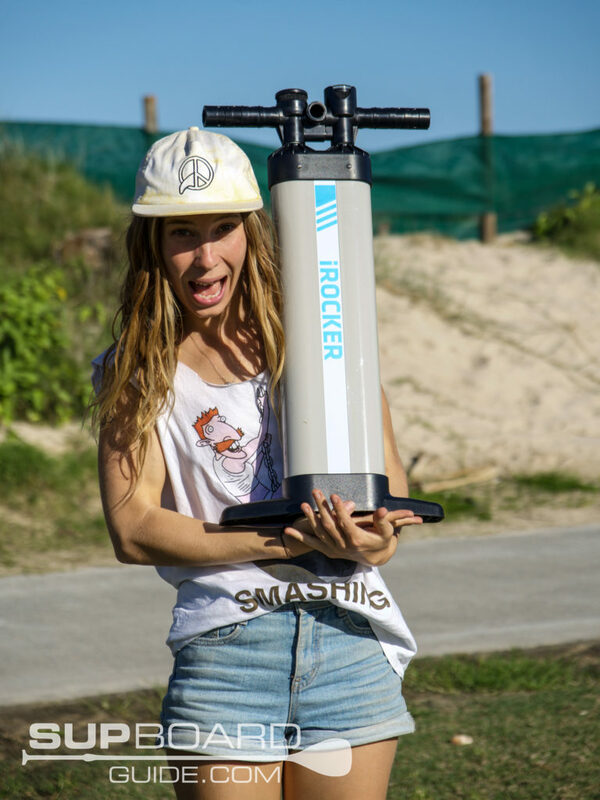 Also, can the IRocker Cruiser be blown up with an electric pump? If so, what kind? the iRocker Cruiser is actually incredibly stable. It’s 33″ wide and stable enough for two people or yoga. 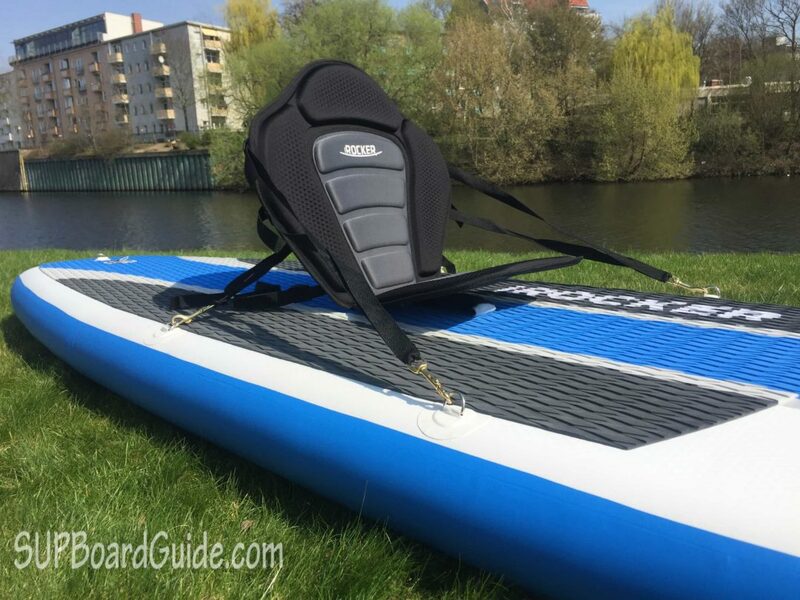 The All Around by iRocker would still be a better choice for ocean paddling. Your grandkids will have an easier time cutting through choppy water. Compared to a hardboard an inflatable will always be a little more bouncy. That’s not really an issue for most recreational paddlers though. If you wanted to get into racing or surfing it would be a bigger concern. Depending on where your grandchildren live and how they get to the water an inflatable might be a lot more convenient. And yes, the iRocker can be inflated with an electric pump. This pump by Tower is really good. One pump I’d definitely avoid is the Sevylor 12V. I’m looking for beginner boards for my adult children. They will be used at the beach in NJ and back bays. 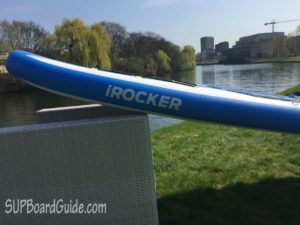 Would the iRocker cruiser be the right choice? Where can they be purchased? hello, first of all i want to thank you all for the rich contente in the site. I read a lot of your reviews but i still have some doubt! I started to paddle last week in a beach and just love it. Tis weekend, i had spend a lot of time on research chasing for a good isup for paddiling and small waves on the beach. After a few hours, i selected this ones: nixy Newport g2, hybrid 9,6 sea eagle, atoll 11, tower adventuer 2, isle all around and 9,2 all round shark. 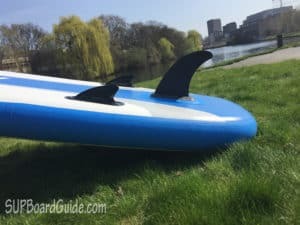 I just loved the shark board construction and the way it’s made for surf, but i stepped back when i read your review. I’m 5’9 and 138lbs and leaves in brazil, so it’s kind difficult for me to test and see with my eyes what’s will be a nice board for me. I will be eternally grateful if you could help me. Thanks so much for taking the time to write to us 🙂 I will try my best to help you out. It all depends on your budget as much as anything! So if they are the boards you are looking at, I’m guessing you want to stick to boards around that price range. So those particular boards, in that price range, they are all decent. Of course, there is better but you’ll be spending a bit more!! For small waves and touring, you want anything that calls itself an “all-around”. The shorter the length of your iSUP the easier it will be to move in the waves but the longer and sleeker, the faster/more fun it will be to just casually paddle. Consider looking at accessories too. Being an iSUP a major part of your time spent will be inflating the board. You want to be on the lookout for any board that comes with either a dual action or even dual chamber pump. You’ll feel much more motivated to get out if it isn’t tiring to inflate the board every time.